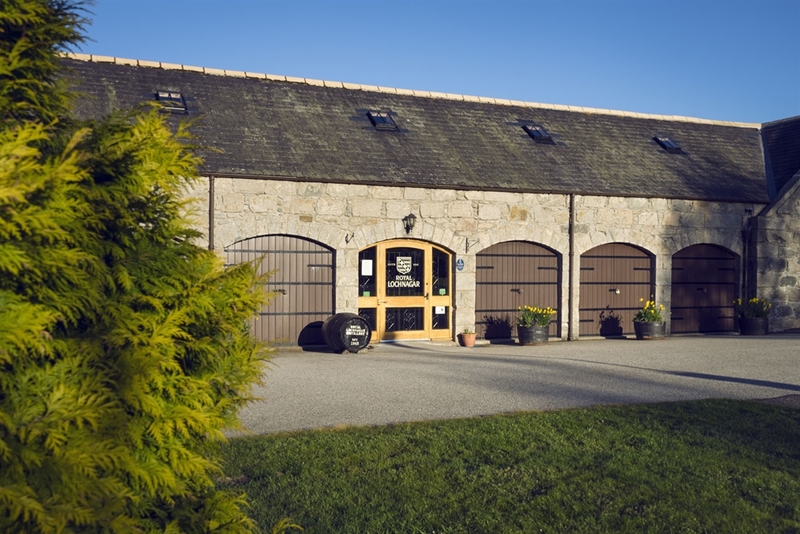 Royal Lochnagar distillery is situated on the south side of the River Dee close to Balmoral Castle. 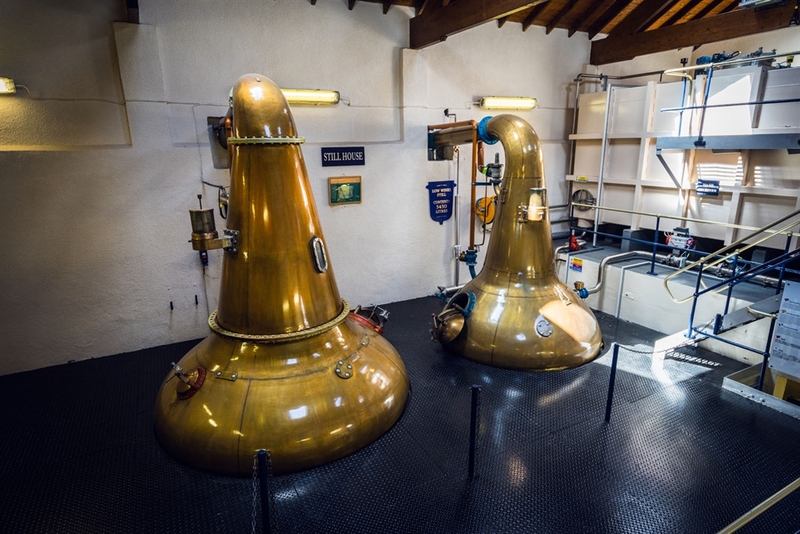 Age old traditions and craftmanship produce one of Scotland's most exclusive whiskies. 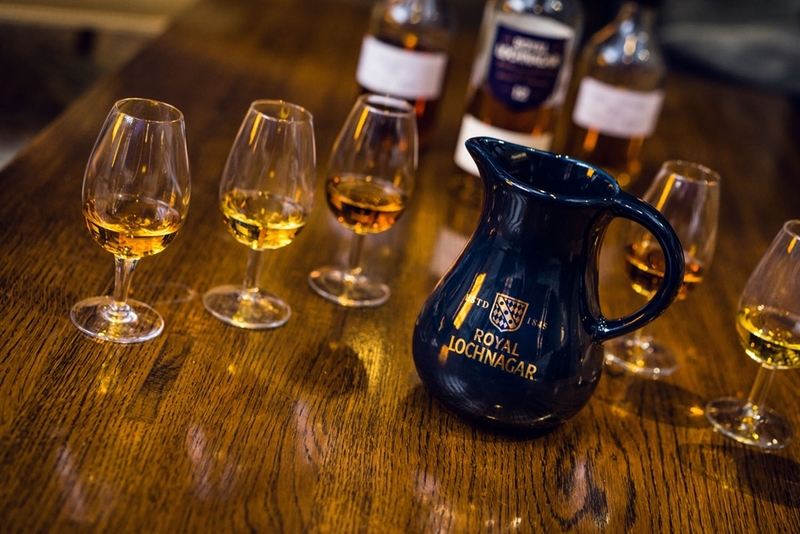 A visit to Royal Lochnagar is a timeless experience. Royal Lochnagar Distillery Tour Book Now £8.50 (including £5 off the purchase of any 70cl bottle of single malt. 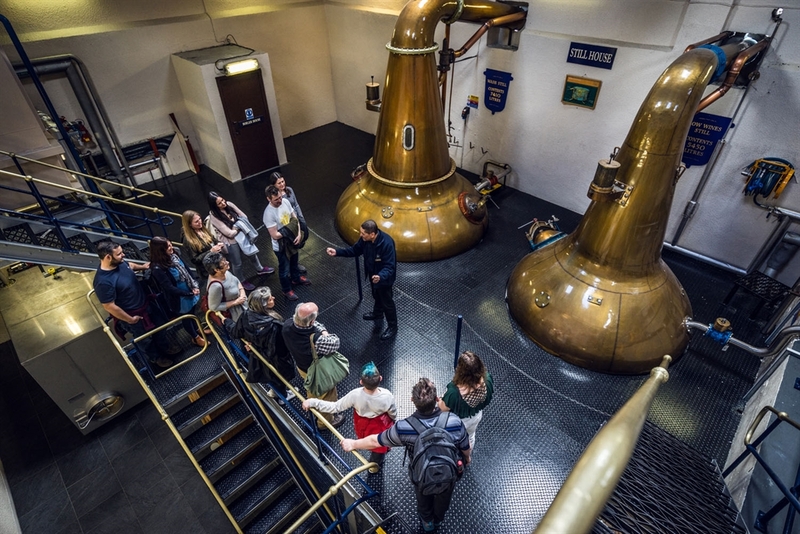 A guided tour of the distillery, filling store and warehouse, followed by a short 10 minute walk up to the Top Dam, the distilleries’ water supply. Whilst there, enjoy a taste of our award-winning Royal Lochnagar 12 Year Old Single Malt and Royal Lochnagar Distillery Only Edition, 48%, from European oak casks, and a limited run of 1800 bottles. Suitable walking shoes are recommended for gentle Land Rover tracks. Should the weather be unsuitable, enjoy drams in the brand home as a comfortable alternative. 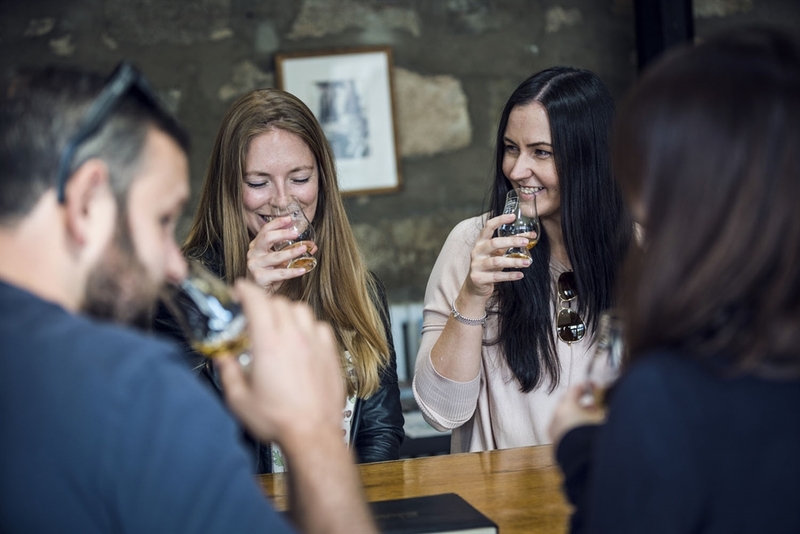 Ideal for the seasoned distillery visitor, this unique experience covers the process of maturation and gives you the opportunity to draw samples straight from the cask in our warehouse, which you can savour and enjoy during a tutored tasting. This experience is by appointment only, please call 013397 42700 or email royal.lochnagar.distillery@diageo.com to book. Maximum of 6 people, please note that this experience does not include a Distillery Tour. 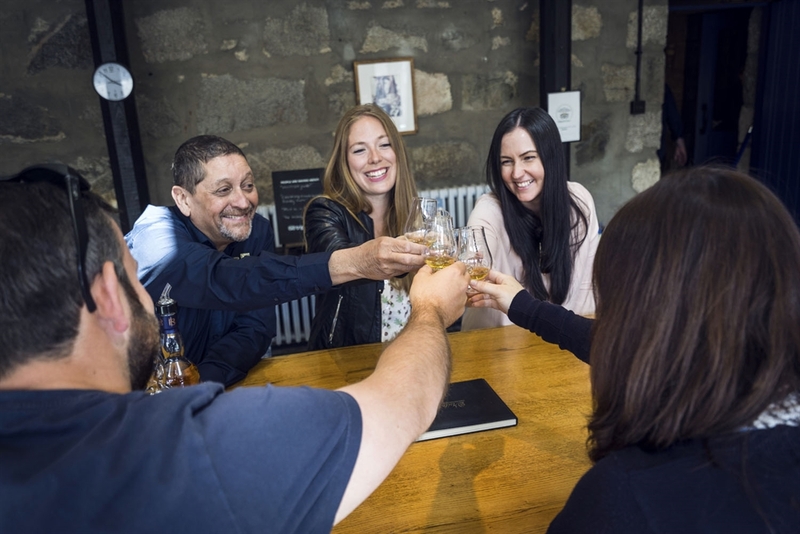 A welcoming cup of coffee and homemade shortbread in the Distillery Library where you will learn the history of the distillery, followed by an in-depth tour explaining how we make our whisky, hosted by one of our knowledgeable members of staff. After the tour there will be a very special tasting of Royal Lochnagar as well as a specially selected rare whisky. This exclusive Royal Tour takes place from Monday to Friday at 10.30am and 2pm, and Saturdays 10.30am. 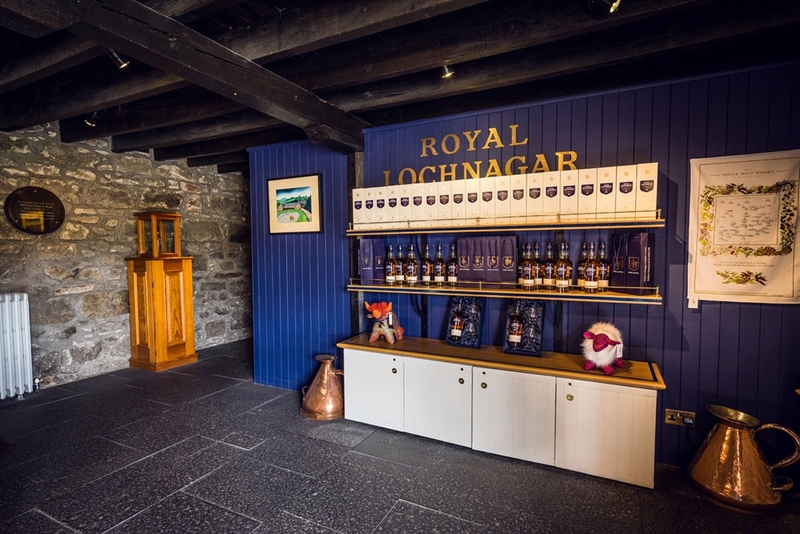 Booking in advance is essential, minimum 2 people, so please contact us at royal.lochnagar.distillery@diageo.com or the visitor centre on 013397 42700. Booking for groups of over 8 is advisable prior to any visit. 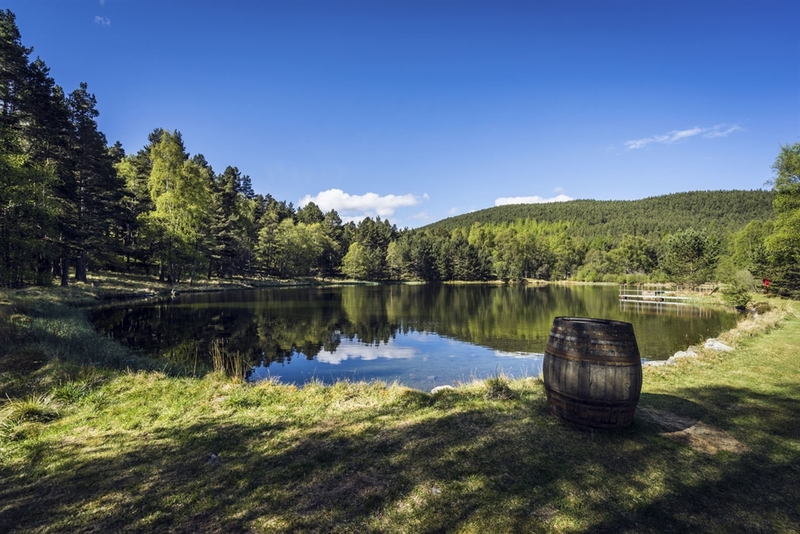 The Distillery is situated at Crathie which is just off the A93, 9 miles from Braemar and 8 miles from Ballater. The distillery lies next to Balmoral Castle in the heart of Royal Deeside. The Balmoral Bridge which crosses the River Dee at Balmoral Castle going from the North Deeside Road, the A93, to the South Deeside Road, the B976 will be closed from Wednesday 8th October until at least Friday 30th January 2015. This is the main access route to Royal Lochnagar Distillery. 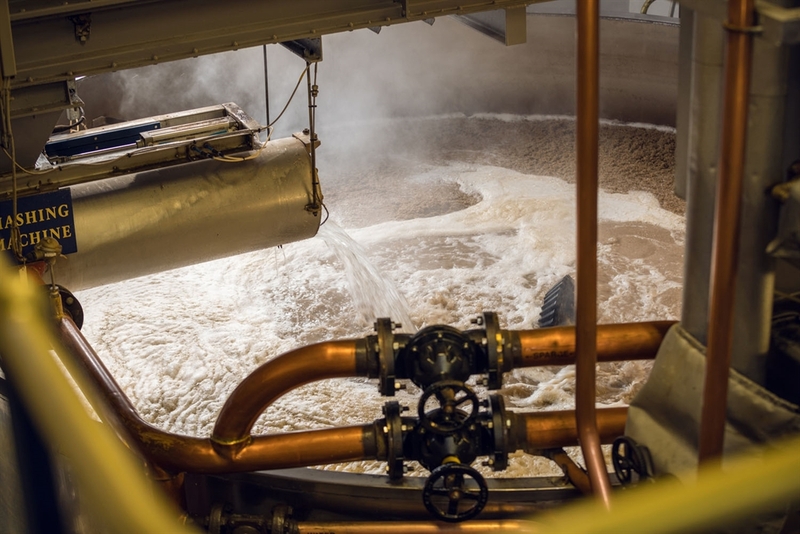 During this time Royal Lochnagar Distillery will be open for visitors and tours of the distillery will take place. To access the distillery at this time leave Ballater and cross the River Dee bridge there on to the South Deeside Road the B976, travel along this road for just over 7 miles (11km) and turn left (an awkward turning, low gear advised) at the brown distillery sign. Carry on up the Still Brae to the top where you will see Royal Lochnagar Distillery.